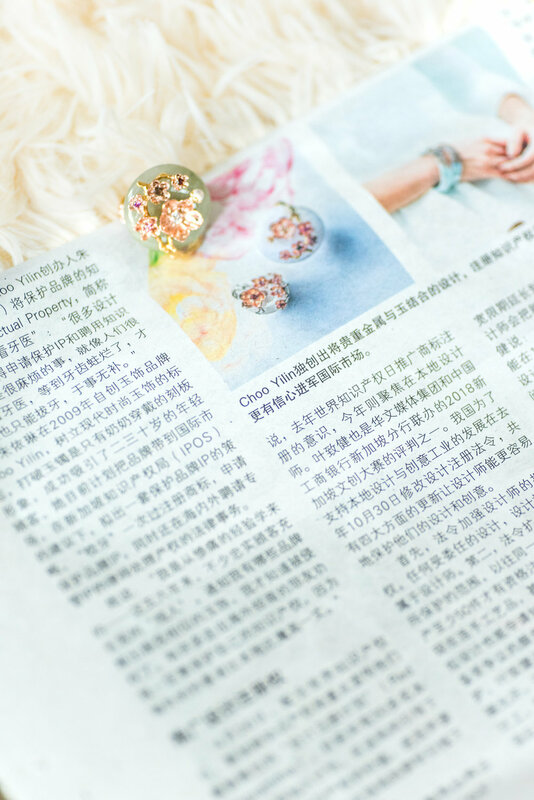 Choo Yilin has always been about storytelling, with an emphasis on heritage and love stories; the quality and artisanship of our jewellery; and our commitment to service and customer care. Another very important component that our clients look to us for is our dedication to our designs and what they represent. As a brand that takes pride in telling significant stories through fine jewellery, we are steadfastly dedicated to telling the tales right; each Choo Yilin Collection often takes more than a full year’s labour of love and commitment. 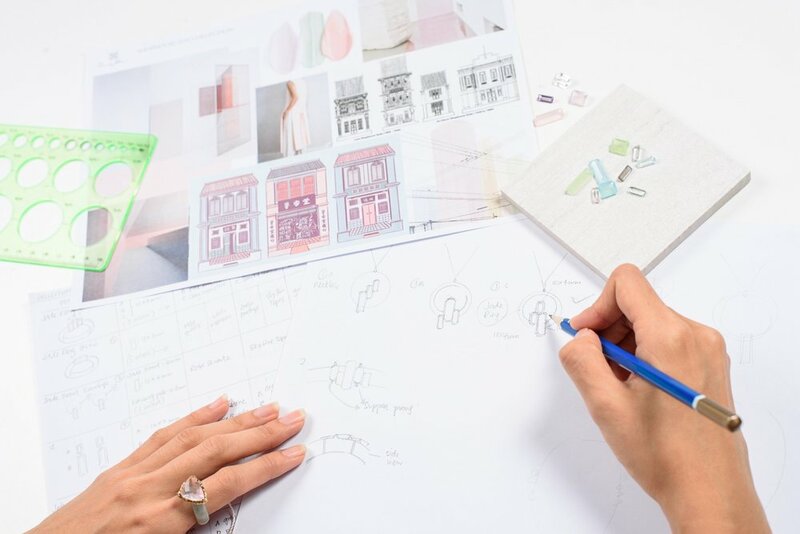 With inspiration comes ideation and numerous stages of reiterations before actual product development. Then comes production where each piece is handcrafted by master artisans across the region. Each finished piece is then subject to rounds of extensive quality checks before they’re finally launched in our Flagship Boutique. It definitely requires a lot of time and effort but we’re committed to this level of quality because as creators, we know the value of an original - whether it’s a design, a story or an heirloom to be cherished by generations - we believe they’re worth protecting. A few months ago, IP Value Lab, the consultancy arm of the Intellectual Property Office of Singapore (IPOS), came to us and we embarked on a pivotal moment in the brand’s journey. Through the years, clients have come to us to highlight incredibly similar designs that exist in the market - designs that they had previously confused to be Choo Yilin pieces at first glance. Each time, it was understandably upsetting and confusing for our clients and for the company as well, as each piece we create is deeply meaningful to the brand that we’re building. Before we met with the IP consultants who have decades of experience in preventing IP infringement, we did not know how we could best protect our intellectual property. Now, however, we’ve learned how we can, and more importantly, why we should. Through this journey, we’ve become part of the RED programme, an initiative by IPOS, and we are honoured to have been featured during the recent World IP Day. In her speech during World IP Day, Ms Low Yen Ling, Parliamentary Secretary, Ministry of Education andMinistry of Trade & Industry said, "IPOS launched the REgistered Designs Programme (or RED Programme) in February 2018 to help our designers and creators develop holistic IP strategies to grow their businesses. Besides providing guidance on IP and registration of their designs, IPOS also offers multiple platforms for our designers and creators to showcase their designs. " The advice and the mentorship that we’ve gained as a result of this has been priceless. One of our key takeaways was that every company would need to get comfortable with defending against infringements, especially if internationalisation is part of the brand’s growth plans. It’s certainly a part of ours. While it’s been difficult to acknowledge that our IP is being blatantly and knowingly subject to infringement, it’s an important lesson to learn that this is only the tip of the iceberg. The IP consultants have shared that the violations would be even more blatant as we begin to internationalise. Thus, we were advised that having a clear strategy on how to manage this was really an inevitable part of the brand’s growth and journey. While it may sound daunting, we were also heartened to learn that IP protection is an area that’s evolving rapidly, with the tools and laws that protect brands increasing every year - something that wasn’t enforceable a few years ago, now is. From trademarks, to wordmarks and from registered designs to business models and brand stories - we are immensely grateful for the support and mentorship we’re getting, moving forward. Recently, IPOS created a video documenting our story, to share how other brands can do what we’re doing now to protect their IP, too. The work that IPOS is doing is truly commendable and so important. That is why we are sharing it here, too.